It is not a coincidence that the adjective "small" is used twice in our mission statement. The pillars of the market are our membership of local businesses. We create an environment for producers & consumers to have a direct relationship. The market is a small business incubator that provides businesses a platform on which to grow. We are proud to be an active component the Olympia community for 41 years. 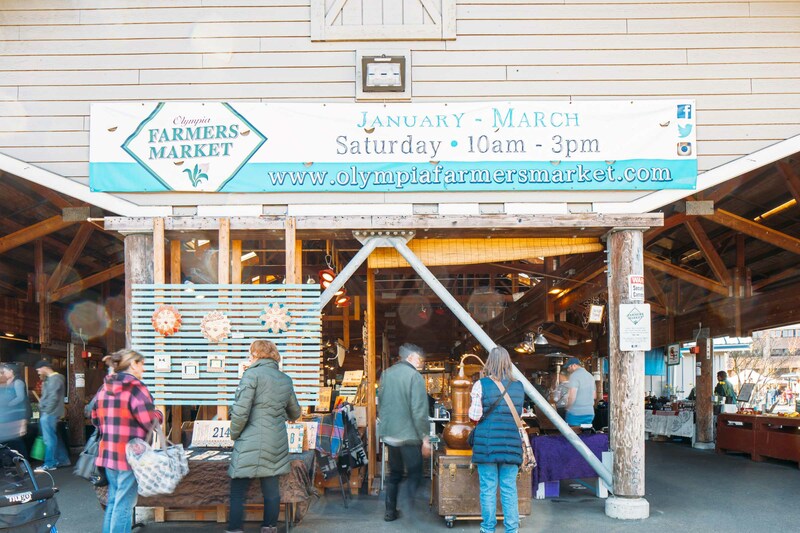 Centrally located, Olympia residents & visitors can enjoy local produce, fresh fruit, artisan crafts, baked goods, meat & dairy, with seven restaurants, all set to daily live music. In the 152 days of our market season, we see approximately 400,000 visitors. We value the a relationship of trust with our community. We are the proud "Jewel of Olympia.” We will continue to offer family and friends a welcoming atmosphere for another 40 years! Olympia Farmers Market historian and vendor, Steve Wilcox, who spins out a mesmerizing, generations-long tale of politics, development and intrigue leading to today’s market. Wilcox, 72, grew up in New Jersey and joined the federal Volunteers in Service to America (VISTA) program in the late 1960s, eventually landing in Olympia. Despite the many twists and turns, and 25 years of hiatus, “the idea never died,” Wilcox says. Steve Wilcox, Olympia Farmers Market historian, holds a sign from 1930 when the market was located at Legion Way and Water Street.